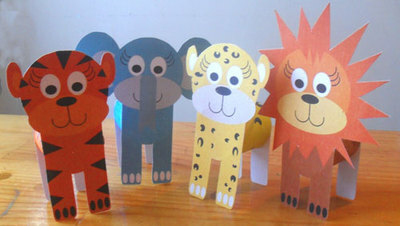 Make up some jungle animals - a lion, a leopard, an elephant and a tiger with a few simple supplies you already have at home. 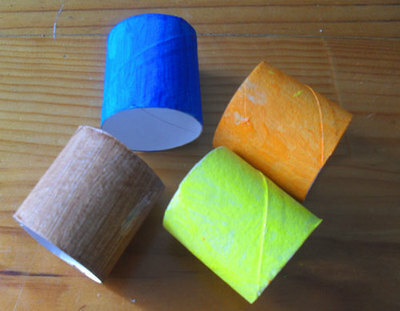 Basecoat cardboard tubes and cut them in half as shown in the photo. Paint animal bodies in their main colours. While you're waiting for the paint to dry, print out the downloads. 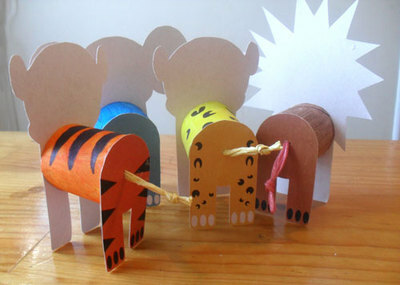 Glue the animal pieces to cardboard, then cut them out (or just print on card). 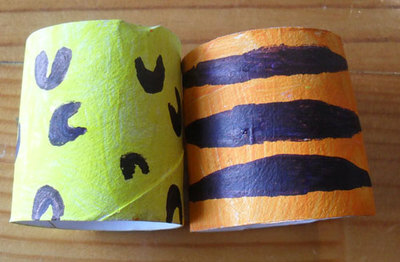 Draw on the animal markings with a black marker for the leopard and tiger. The leopard markings are like the letter 'C' and the tiger just needs a few stripes. 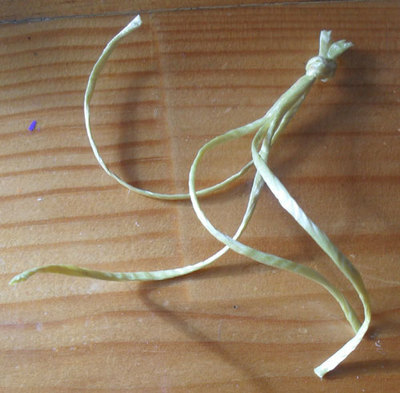 Roll a few lengths of string for the tail and knot at one end. 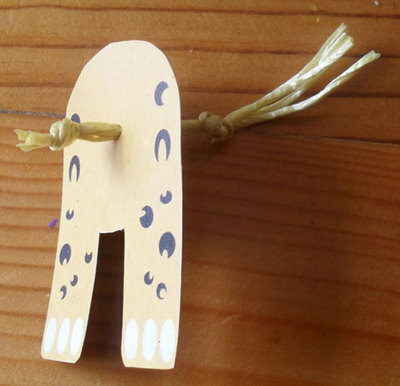 Make a hole in the hind piece, thread string through and knot so it stays in place. 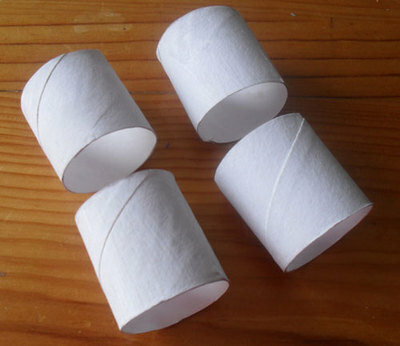 Glue the cardboard tubes to the animal front and backs. 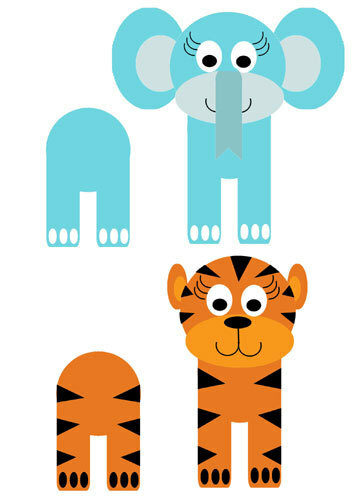 can you tell me how to print the animals out. Thanks Annie! 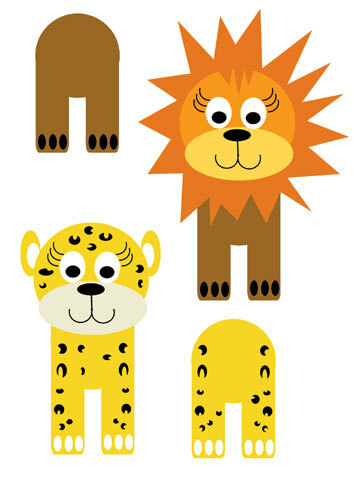 There are matching masks here: http://mykidcraft.com/printable-jungle-animal-masks/ and matching bookmarks here: http://creativeyou.hubgarden.com/jungle-critter-bookmarks-to-print/ for the whole set! Love this, it is soooo cute! !